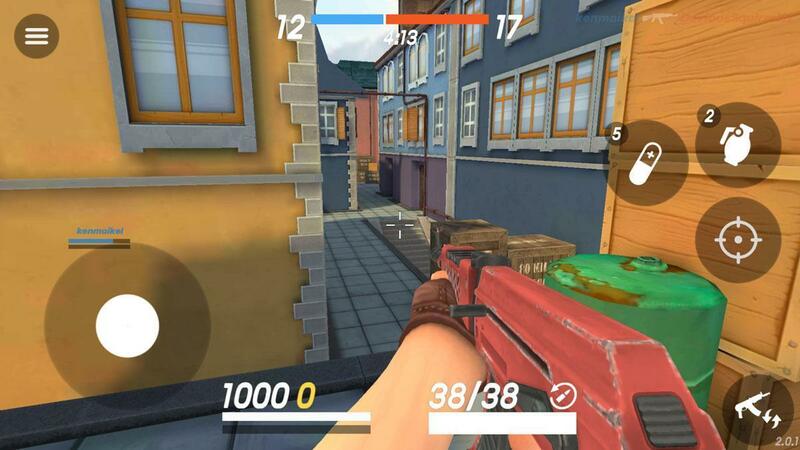 Enjoy this immersive shooting game that you can enjoy on the go in the comfort of your mobile device. Immerse yourself in a spectacular and colorful game world that’s absolutely delightful to look at. Choose from tons upon tons of different guns, each with its strengths and weaknesses. 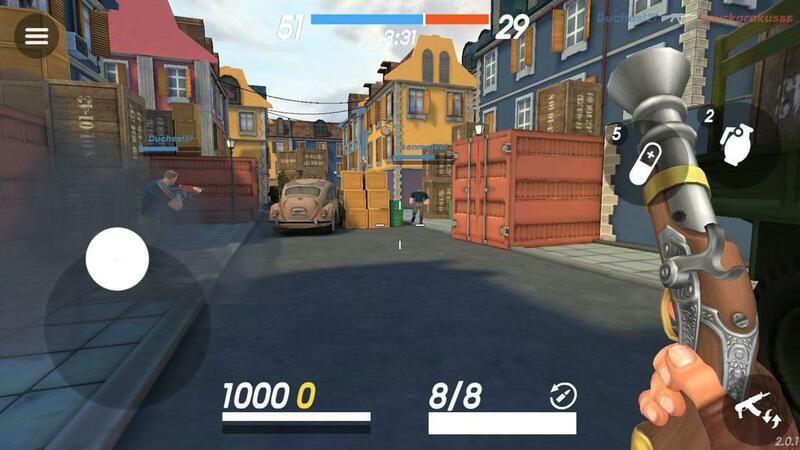 Guns of Boom is an absolutely spectacular game that lets players enjoy a full-fledged shooting experience on their mobile device. A lot of developers have tried to bring a top tier shooting experience to the mobile platform and, while some have definitely come close to perfection, there’s always something holding the games back. However, it seems like Guns of Boom has finally cracked the code. It’s an incredible game that we absolutely recommend playing if you’re looking for a top notch shooting game to play on your phone. Getting the hang of Guns of Boom is an absolute breeze because the game starts off with an in-depth and informative tutorial sequence that does a perfect job of teaching players all the basics. Alongside the informative tutorial sequence, there’s also the fact that Guns of Boom isn’t that mechanically intense as most traditional shooter games are so naturally it’s quite easy to figure out. Onto the gameplay, Guns of Boom implements a few creative changes into the traditional shooting game formula and these changes are exactly what set the game apart from other shooting games and make it worth trying out. First and foremost, Guns of Boom has an autofire feature that works wonders for the smoothness of gameplay. 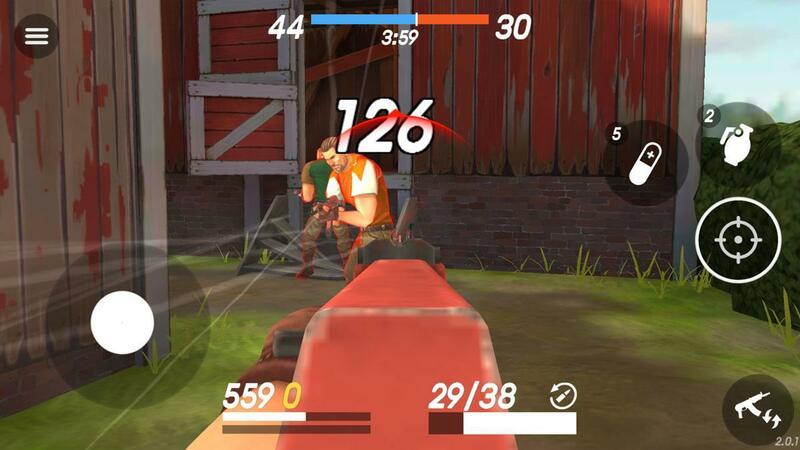 When playing shooting games on mobile devices, it can sometimes become incredibly tedious to aim and shoot at the same time because of the slightly limited controls but, in this particular game, all you have to do is get the enemy between your crosshair and the game will take care of the shooting for you. On top of the autofire, Guns of Boom has a lot of other delightful features that players are sure to love. There are tons upon tons of maps and all the maps in the game have spectacular designs and are therefore and absolute treat to play. Alongside the variety of maps, Guns of Boom has an incredibly variety of weapons as well. There are over 40 different firearms to use and each individual firearm has its own unique characteristics so they all feel distinct. The variety of maps and weapons give the game a ton of replay value and make sure that it won’t start to get dull or repetitive, even after long periods of play. As for the visuals, Guns of Boom utilizes a bright, vibrant and colorful art style that’s quite unlike the realistic style that a lot of traditional shooter games go for. The colorful visuals are a nice change of pace and, alongside this, there’s also the fact that the weapons are loaded with detail and the character models are quite lively so, all things considered, Guns of Boom is great to look at. Guns of Boom is free to download and play but it has a bunch of different micro-transactions through which players can acquire bonus content in exchange for real world money.